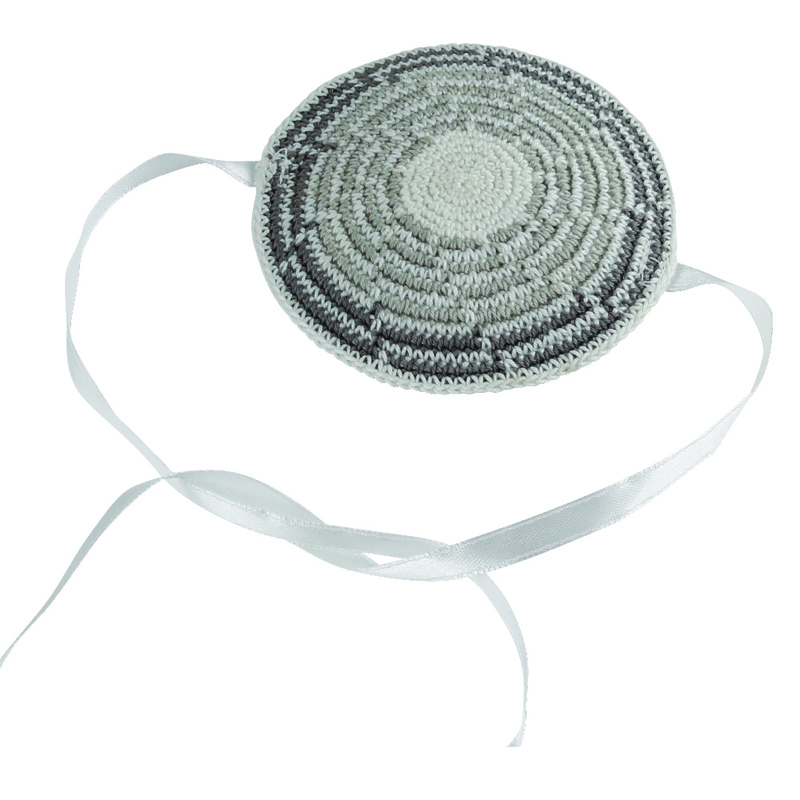 Adorable Hand Knitted mini baby Bris Kippah with fastening straps The grey swirl design is part of the weave. Measures 3" diameter. An ideal little gift for every newborn.